When you think about what model of vehicle has been around longer than any other, several candidates might come to mind. Iconic nameplates like the Porsche 911, Chevrolet Corvette, Chrysler 300, and the Ford Crown Victoria seem like they’ve been here forever—but they’re not the champs. 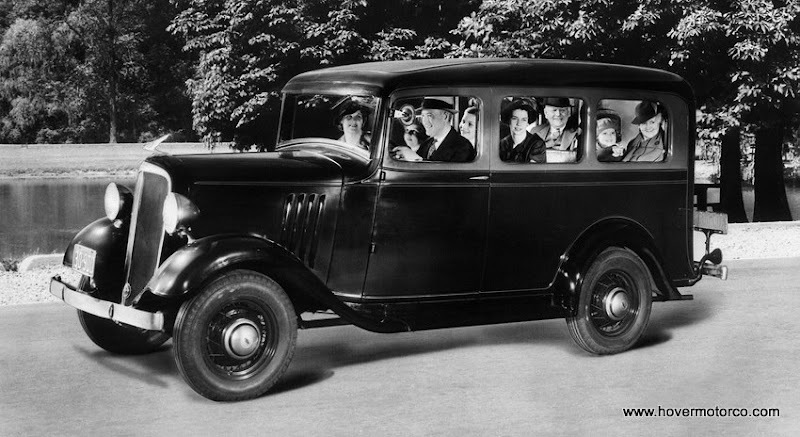 For more than 75 years, Chevrolet has continuously produced the Suburban. That’s longer than any other vehicle in the industry. And even today, the Suburban stands alone as the gold standard of large SUVs. It still provides the utility and functionality it was known for 75 years ago, but does so in a way that meets the needs of the modern user. From the commute along I-435, to towing the boat to the Lake of the Ozarks, the Suburban continues to meet the needs of Kansas City, and everywhere else in America. 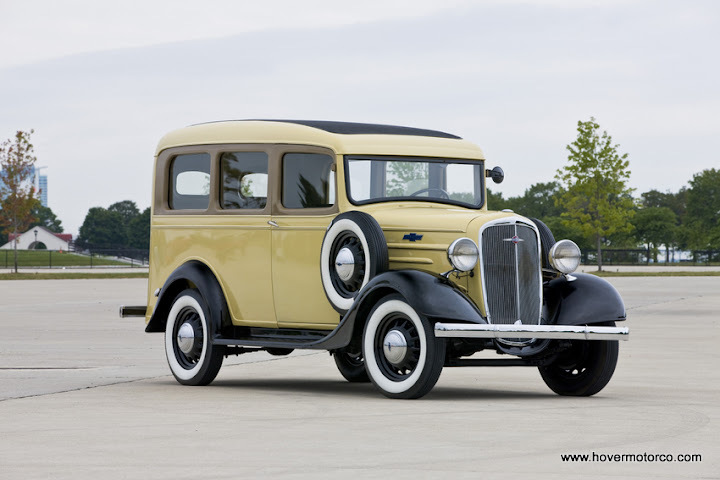 The first Suburban (then known as the Suburban Carryall) was produced in 1935. It was unique because it was based on a heavy duty truck chassis, unlike most of the competition that were car-based, and it featured an all steel body. 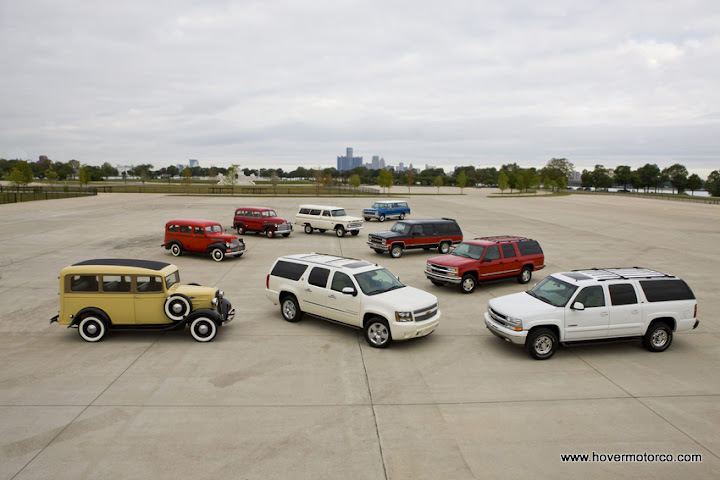 The Suburban found a strong fan base with people that needed more utility than a car-based wagon could provide. 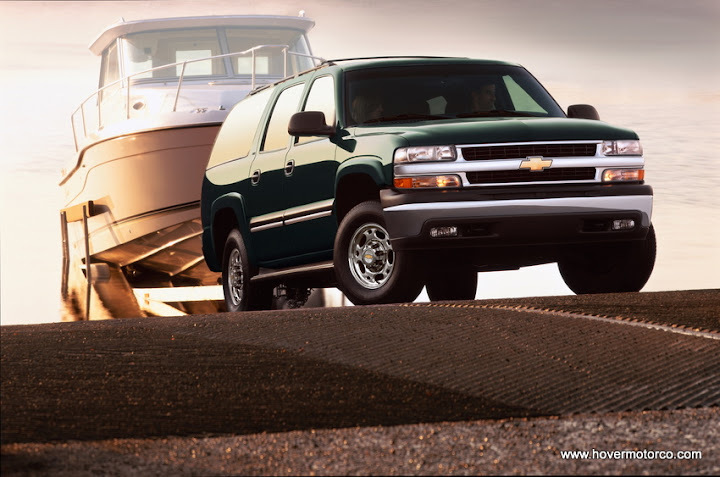 Whether it was construction, hauling or towing, or passenger capacity, the Suburban was second to none. Suburbans evolved in much the same way as Chevy pickup trucks. Early models were devoid of creature comforts, hard-riding, and relatively crude. They didn’t even get back doors until the end of the 1960s. But they got better every year. Into the ‘50s their styling became as attractive as most cars, and V8 power became available. In the ‘60s, ride and handling improved tremendously with Chevrolet’s much-enhanced chassis designs. By the 1970s, it wasn’t uncommon to find wall-to-wall carpeting, stereos, and other indulgences. In the 1990s, there was a real explosion in the popularity of trucks for everyday use, and SUVs in particular. Suburbans were on par with luxury cars of the day in terms of accoutrements, and it wasn’t uncommon for a family of four to use a Suburban for daily driving. And that’s for good reason. A full-framed Suburban is very capable of protecting occupants in a crash. It would swallow everything from athletic gear to presentation materials with ease. The proven Chevrolet V8 power mated to a robust four-wheel-drive chassis could get a person through most any weather condition. And even though you weren’t going to tow a house boat, it was nice to know you could. Of course, there are always tradeoffs, and the Suburban has a couple. That long wheelbase isn’t exactly nimble in close parking situations, and sometimes it was too big for the garage. 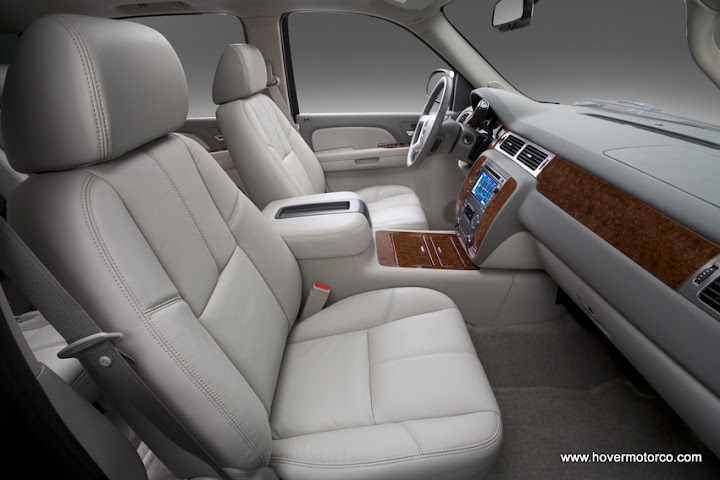 For people who are used to a more standard-sized vehicle, a Suburban could be downright intimidating to drive. And the biggest Achilles heel has to be the gas mileage. Oh, sure, ten miles-a-gallon was tolerable when gas was cheap, but once fuel prices hit four-bucks-a-gallon, all bets were off. 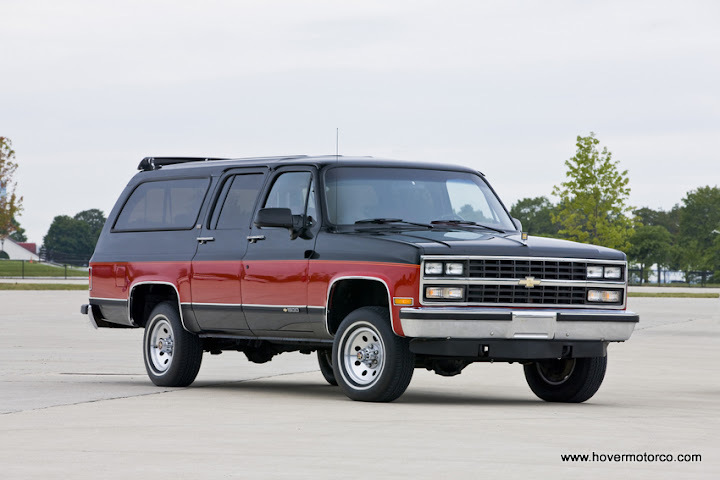 The Suburban Chevrolet produces today is unequivocally the best they’ve ever produced, and very likely the best of its type in the industry. It hauls more, looks nicer, is finished off better, and even gets better mileage than any ‘Burb before it. For those who have a need for this kind of capability, the Suburban still stands above all others. In honor of the 75th anniversary milestone, Chevy introduced a special package at the 2010 Chicago Auto Show. 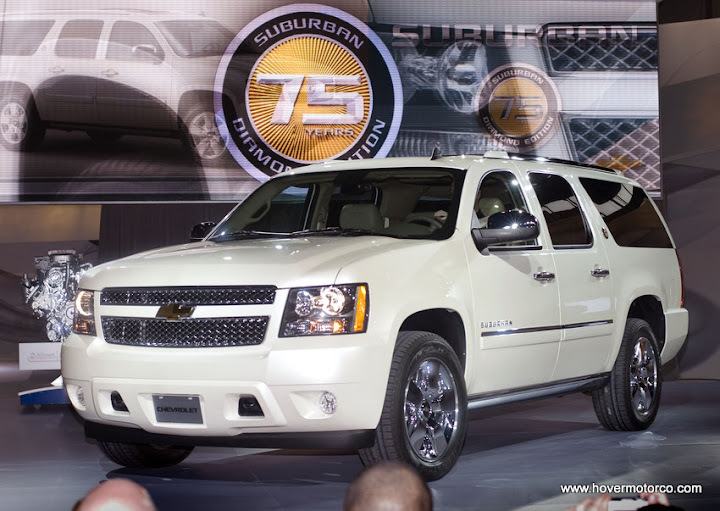 2,570 specially-badged White Diamond Suburban LTZ’s, also known as the Diamond Editions, were built to celebrate three-quarters of a century of production. 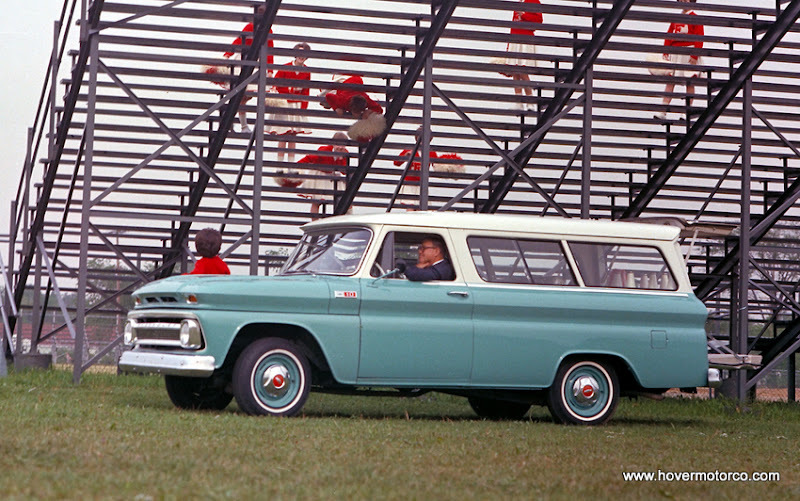 The slideshow below contains lots of different pictures of Suburbans throughout history. I took some of them. More of them are vintage factory photos. But I think all together they make a nice pictorial history of Chevrolet’s king-sized hauler. I didn't realize the Suburban had such a long history. Nevertheless, as an environmentalist, I decry the waste engendered by its magnitude, and as a compact car driver, I decry its obstruction of my view of the road and the threat it poses to my person. You obviously don't like cars - so what are you here for? P**S OFF and go choke on your tofu. Please. I don't drive a Prius. I also don't believe any study that says the Jeep Grand Cherokee has the least environmental impact of any car. And I do love cars. Just not ones that blot out the sky. I think it really depends on your wants and needs. If you haul eight or nine people/kids, tow a boat or camping trailer, and want the safety of a larger vehicle, a compact isn't going to work for you. If you're commuting by yourself, a little car might be the ticket. There are tradeoffs for both, though. I mean, if you buy a small car, you know there are going to be bigger vehicles out there--that's a compromise you chose when you bought your car. Luckily, everyone can pick what they want, and put up with the good in the bad qualities of their choices.